I love my red shoes. . .
We are excited to share our latest project with you. 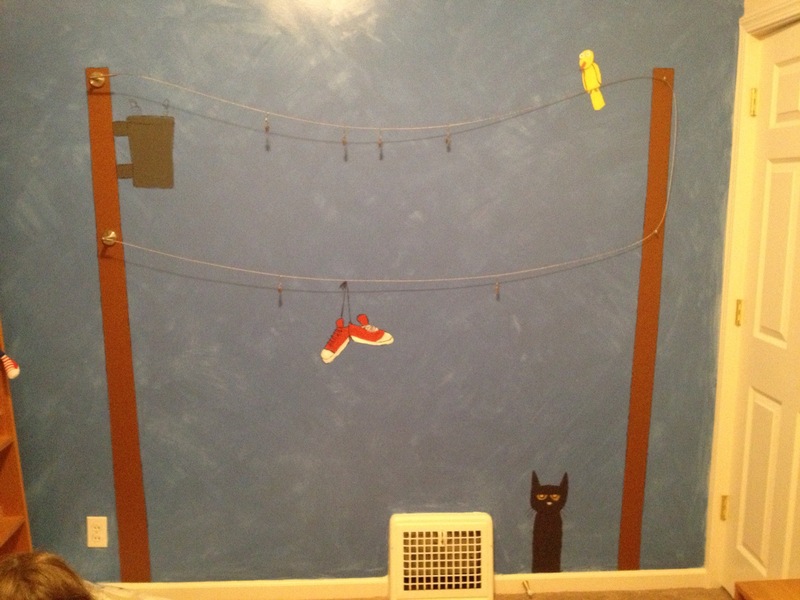 Instead of fabric and a sewing machine this project involved a big wall, paint, and children’s literature. Intrigued? 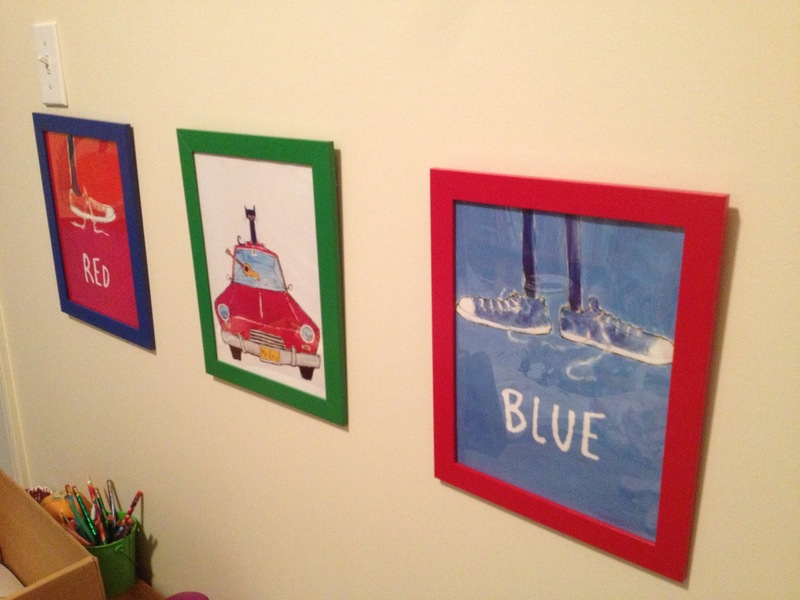 I have always wanted to tie a room around a piece of children’s literature. Choosing just one book seemed impossible. When my daughter, Lauren, came home from kindergarten and couldn’t stop talking about Pete the Cat I decided to check it out. Not only was it a super fun story…the art work really appealed to me. The use of primary colors and simple pictures drew me in. I knew this was the inspiration for designing the room that we call our “creative space”. 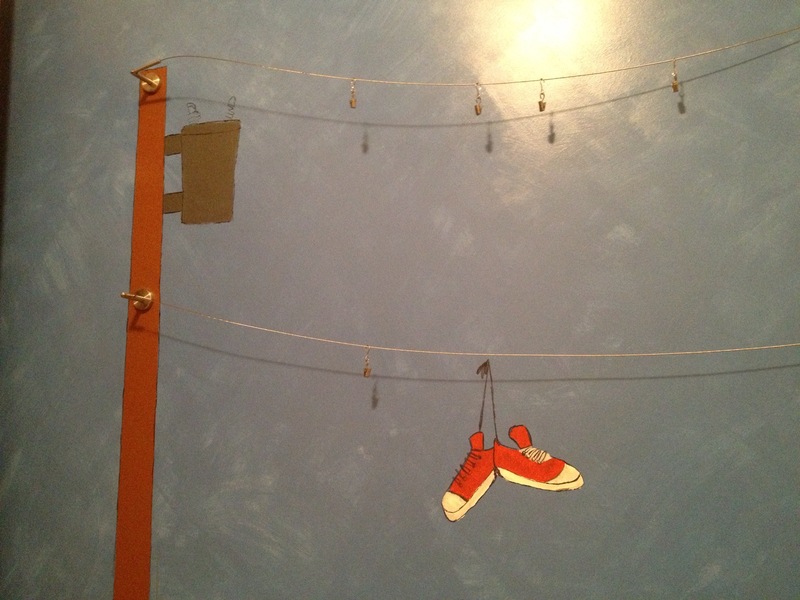 The best part of the room and citymade’s latest project was the mural wall. 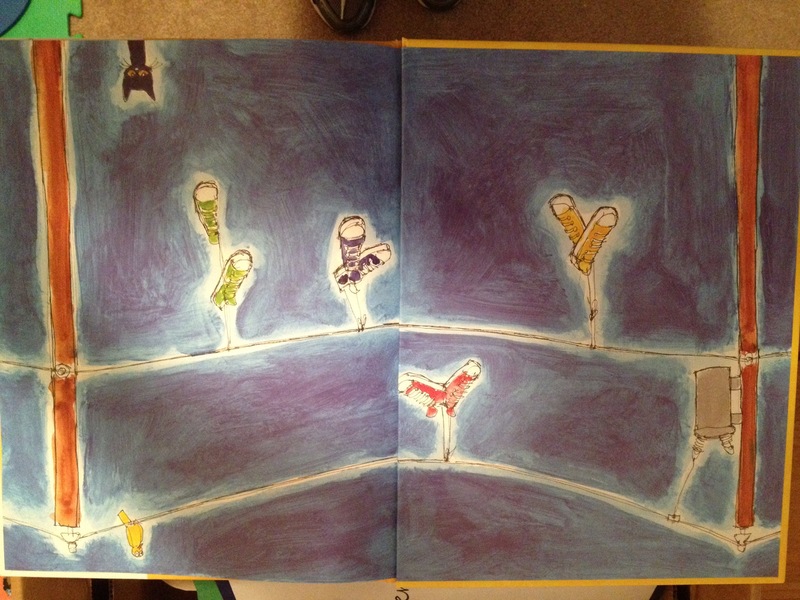 Here are the pages from the book that inspired the mural. Not only did I want a mural but I wanted the wall to be an interactive art piece that the girls could hang and re-hang their art on. 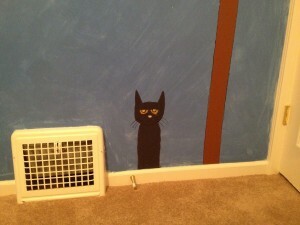 Here is the finished mural. The wall itself was painted with two different shades of blue. I started by rolling on the lighter blue. 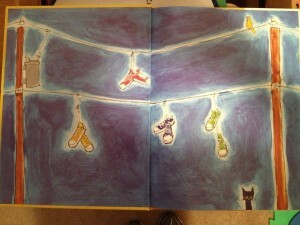 When that was dry I brushed on a darker blue in sections and spread it around with a rag to get the watercolor effect. Luckily Carol’s artistic abilities extend into drawing and she was able to freehand the details in pencil and paint them on the wall. She did an amazing job! Here is the wall with the girls artwork. 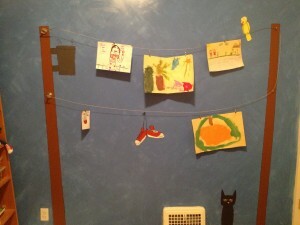 The art is hung using the wire-clip system from Ikea. Have we mentioned that we love that place? For some finishing touches I added some framed pictures from the book and a plush Pete. 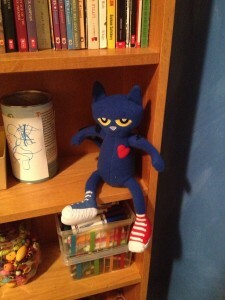 This project was so much fun and, if you haven’t read the book, Pete the Cat, we highly recommend it! 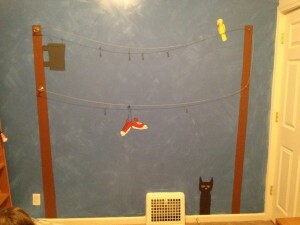 This entry was posted in Home Decor, Kids and tagged mural, Pete the Cat. Bookmark the permalink.